Check out these DOPE sneakers that my homegirl Stylist Brittany has in her showroom on sale for $50... YES $50! 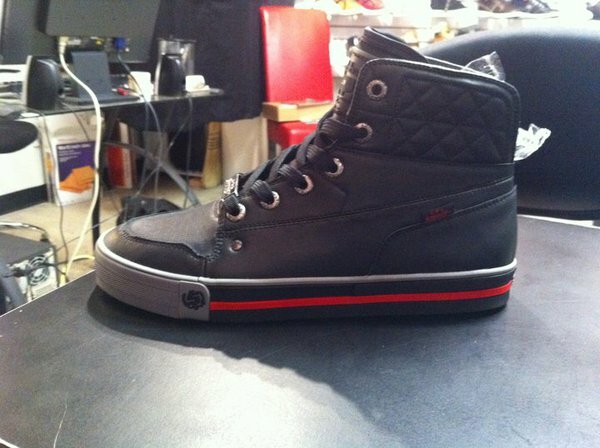 Check out these DOPE Black/ Red and Grey trim leather high- top sneakers by Shmack.